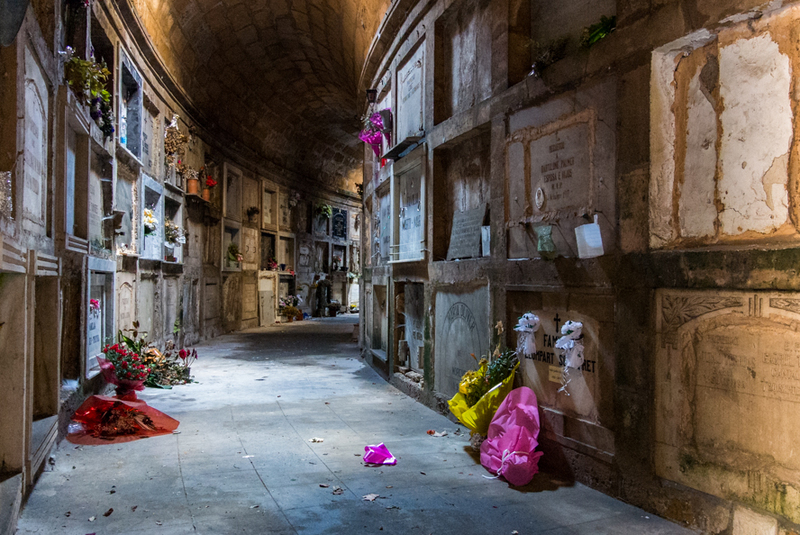 The cemetery of Palma de Mallorca is a place full of history, culture, art and religion. Somewhat hidden are the catacombs in six underground galleries dating from the early 20th century with hundreds of tombs, predominantly of victims of the epidemic of influenza of November, 1918. The photo was taken in Palma de Mallorca, Baleares, Spain. The date: February 8th, 2014.